Sony XBR65X850D vs XBR65X810C : What’s Better on The Newer Sony XBR65X850D? Posted on Saturday, July 9th, 2016. - Filed under 65-Inch. When you are looking for 65-Inch Smart 4K UHD TV, XBR65X850D and XBR65X810C model from Sony are two choices that you may have in your mind. They are indeed not positioned as the direct successor-predecessor, but We can still say that Sony XBR65X850D is the new model of Sony XBR65X810C since there are a number of similarities that you can find between them. So what’s better on Sony XBR65X850D that comes as the new model from Sony’s 2016 TV lineup? Let’s take a look at those two TVs then checking what’s better on Sony XBR65X850D and see if It’s the better choice for you. 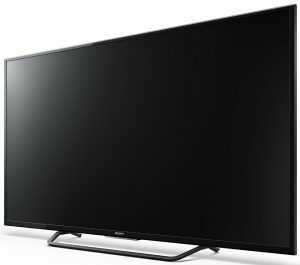 Sony XBR65X850D is introduced as part of Sony X850D model. It’s currently one of popular choice for 65-Inch Smart 4K UHD TV from 2016 TV lineup. Sony XBR65X850D comes with Triluminos display that can deliver true-to-life color details in 4K UHD picture resolution. As the picture engine, Sony XBR65X850D comes with 4K X-Reality Pro. 4K X-Reality Pro is able to deliver brilliant picture quality from both original 4K content sources or HD contents that upscaled into near 4K picture quality with its 4K upscaling technology. Sony XBR65X850D is also completed with 4K HDR technology that bring High Dynamic Range contents with better details and dynamic brightness. As the Smart TV platform, Sony XBR65X850D comes with 2016 version of Sony Android TV. While you can’t really significant differences, but the 2016 comes with improvements from the previous 2015 version of Sony Android TV so that It become more user-friendly and bug-free. Voice remote control is also included with Sony XBR65X850D set, so you can control the TV easier and faster with your voice. One of the popular choice for affordable 65-Inch Smart 4K UHD TV in 2015 lineup is Sony XBR65X810C. Sony XBR65X810C is positioned as the basic 65-Inch Smart 4K UHD TV in Sony’s 2015 TV lineup. 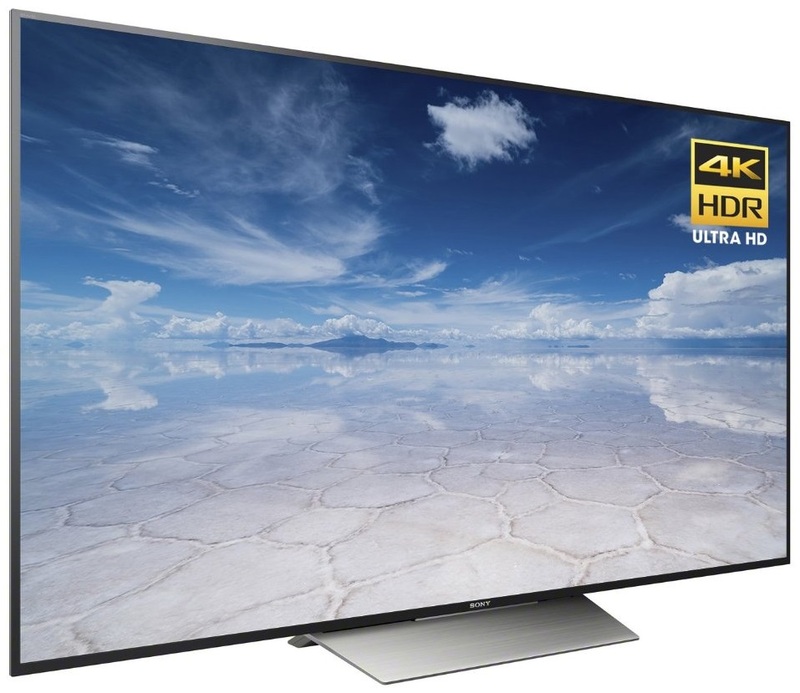 Sony XBR65X810C comes with 4K X-Reality pro as its picture engine. It’s able to deliver brilliant picture quality from original 4K content sources or HD contents that upscaled into near 4K picture quality with 4K Upscaling technology. Sony XBR65X810C is already completed with X1 processor that help the TV to deliver optimized picture details in 4K Picture resolution. As part of Sony’s 2015 TV lineup, Sony XBR65X810C is completed with the first version of Sony Android TV. With Sony Android TV, Sony XBR65X810C is able to deliver premium entertainment from your favorite content providers as well as running your favorite Smart Apps on the TV screen. We need to know the specs of Sony XBR65X850D and XBR65X810C before we can talk more about their differences. This table depicts the key specs of Sony XBR65X850D and XBR65X810C that we need to know before We talk about the differences of Sony XBR65X850D and XBR65X810C in details. What’s Better on Sony XBR65X850D? As the new and relatively higher model, You can find that the differences that you can find between those two TVs are mostly the better aspects on Sony XBR65X850D. What’s better on Sony XBR65X850D? Let’s talk about that together. The first difference that you can find between Sony XBR65X850D and XBR65X810C is triluminos display. Triluminos display is installed on Sony XBR65X850D but is not installed on Sony XBR65X810C. With triluminos display, you can enjoy more true-t0-life color details in Sony XBR65X850D. While Sony XBR65X810C is already HDR compatible, but Sony XBR65X850D comes with the latest 4K HDR technology that also supported with the latest requirement to deliver 4K HDR contents optimally. So basically Sony XBR65X850D is able to deliver better High Dynamic Range (HDR) contents with its latest HDR standard. Sony XBR65X850D and XBR65X810C come from different lineup year. They basically use the same Sony Android TV as their Smart TV platform. As the newer model, you can find that Sony XBR65X850D is completed with the newer Sony Android TV than the older Sony XBR65X810C. There’s no big differences between them, but the newer version comes as more stable with user friendly interface. The remote control that come with Sony XBR65X850D is better than the one that come with Sony XBR65X810C. Sony XBR65X850D comes with Smart Remote Control that named Voice Remote Control, while Sony XBR65X810C is only completed with standard remote. With Voice Remote Control, you can control the TV and its Smart TV platform easier and faster using your voice. Sony XBR65X850D is the newer model that also positioned as the higher model than Sony XBR65X810C. So when We talk about the price, We can easily guess that It’s priced at the higher price. How much is their price difference? You can find that Sony XBR65X850D is usually priced at around $600 higher in price. When you prefer to talk in percentage to see how their price difference compared, then We can see that Sony XBR65X850D is around 42% higher than Sony XBR65X810C. Sony XBR65X850D vs XBR65X810C : Which One to Choose? Related Post To Sony XBR65X850D vs XBR65X810C : What’s Better on The Newer Sony XBR65X850D? Two of 65-Inch 4K UHD TV that we can find in 2019 are Sony XBR65X850G and XBR65X800G that released by Sony as part of their 2019 TV lineup. We can easily guess that Sony XBR65X850G is the..
Sony XBR65X950G vs XBR65X900F : Should You Choose The New Sony XBR65X950G? Sony XBR65X950G (XBR-65X950G) can be called as the newer model of Sony XBR65X900F (XBR-65X900F). Sony XBR65X950G comes as part of Sony X950G that comes as part of Sony’s 2019 TV lineup, while Sony XBR65X900F was released in..
Samsung introduced Samsung UN65KS9500 as the successor of Samsung UN65JS9500 for 2015 lineup. As the top model for Samsung’s 2016 lineup, Samsung UN65KS9500 comes with the latest technology in 4K UHD TV. Samsung UN65KS9500 is the top.. When you are looking for 65-Inch OLED 4K UHD TV, I’m quite sure that LG OLED65E7P and LG OLED65B6P are two models that we should consider. LG OLED65E7P is the model that comes as part of LG’s 2017..